It isn't clear what drew the Shaver family to Detroit in 1930. I suspect that they followed Taylor Shaver to the city, for the third of Ziba and Grace Shaver's five children was holding down a good job there with the Federal government. Although we as a nation had fallen on hard times in that first full year of the Great Depression, America's Motor City was still humming as it went on manufacturing and selling the automobiles that would, as Will Rogers observed, carry us to the poorhouse. Maybe the Shavers wanted in on the action. In any case, at the very least among the Shaver family, Ziba, Grace, and Richard made the move from Pennsylvania to Detroit, a city that would prove a fateful place for the future co-creator of the Shaver Mystery. Richard Shaver attended classes at the Wicker School of Fine Arts in Detroit beginning in 1930. Young Sophie Gurvitch was also a student, then an instructor at the school. Shaver became an instructor, too, but when they were wed on June 29, 1932, in Detroit, both claimed to have been unemployed. 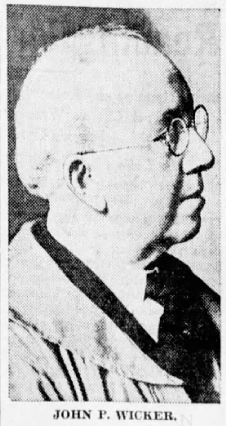 Sometime in 1933 or 1934 (Mr. Childress, below, says 1932), Sophie Shaver bore a daughter, Evelyn Ann, presumably named after Sophie's younger sister. "During this time," writes David Hatcher Childress, "Richard took a job as a welder at Briggs Body at Highland Park, Michigan, working on an assembly line making bodies for the new V-8 Fords. Pay was 10 cents an hour and the work was hard, hot and dangerous." (1) While working on the assembly line, Shaver began undergoing strange experiences, but not before tragedy befell his family. Or maybe that tragedy wasn't just some random event but the first action taken against him by malevolent forces he found to be afoot in the world. Taylor Shaver graduated from Valparaiso University (as did Astounding Stories editor F. Orlin Tremaine, who was Shaver's senior by four years). According to a later article, Shaver served in the U.S. Army Air Corps and the Pennsylvania State Police. (3) Sometime in the 1920s (and no later than 1930), Shaver started working for the U.S. Immigration Service in Detroit and became chairman of the Board of Inquiry. It was by these occupations that Shaver gained the experience he needed to write adventure stories for boys. Despite Taylor Shaver's authorship of several published short stories, including at least one science fiction story, I have not found a biography of him anywhere on the Internet. I'm writing now in part to correct that oversight. (It's the same reason I wrote about Sophie Gurvitch the other day, although there is a secret biography of her on the website AskArt.) But there's more to this biography than just a few facts about Shaver's life. First, he was co-author of a story that appeared as part of the Shaver Mystery of the 1940s. It seems certain to me that this story, "The Strange Disappearance of Guy Sylvester," was an outline, fragment, unfinished story, or unpublished story that Richard Shaver had among his papers and that Richard submitted to Raymond Palmer for publication in Amazing Stories. Palmer's workhorse Chester S. Geier must have then brought it to a publishable form, thereby winning himself credit as co-author. In any case, "The Strange Disappearance of Guy Sylvester" was published in Amazing Stories in March 1949, perhaps when the Shaver Mystery was beginning its downward slide. As far as I know, Shaver never had a cover story, but here are three covers for magazines in which his stories appeared. Pay special attention to the second one. Boys' Life, September 1928, an Aviation Number that included the story "Sky Shy" by Taylor V. Shaver. The image is small and hard to see, but I wonder if it has any sea monsters or other cryptozoological creatures hiding within. The artist's name appears in the lower right corner, but it's too small for me to see. Notice that he has obscured the continent of Antarctica with a cartouche. Was he trying to hide something? Boys' Life, February 1930. Among its contents is Shaver's story "Successfully Completed." The title is ironic, considering this was Shaver's last story published in his lifetime. The cover artist is unknown. Now, note the writing on the side of the airplane (a Fairchild FC-2W2): Byrd Antarctic Expedition. We'll soon see why that's significant. Like in about thirty seconds. Amazing Stories, March 1949, in which "The Strange Disappearance of Guy Sylvester" by Taylor V. Shaver and Chester S. Geier appeared. According to the Internet Speculative Fiction Database, this was Shaver's only published work of science fiction. The cover artist was Edmond Swiatek. The scientist here looks like the Green Arrow without his cap and mask. 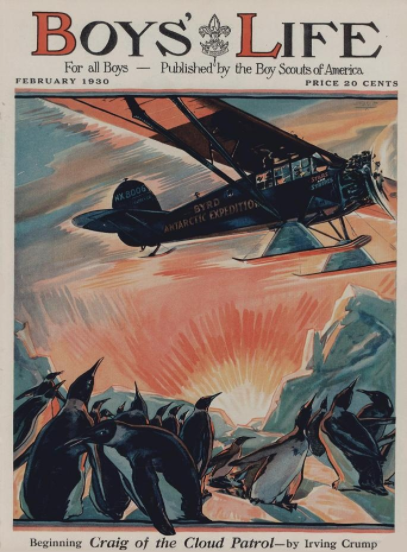 On November 29, 1929, Commander Richard E. Byrd, Jr., and his crew, flying a Ford Trimotor named the Floyd Bennett, reached the South Pole by air. For his heroism and accomplishments, Byrd was promoted to the rank of rear admiral in the U.S. Navy. (The Boy Scouts of America had previously made him an Honorary Scout, in 1927.) Admiral Byrd made four more trips to Antarctica, in 1933-1934, 1939-1940, 1946-1947 (at the height of the Shaver Mystery), and 1955-1956. 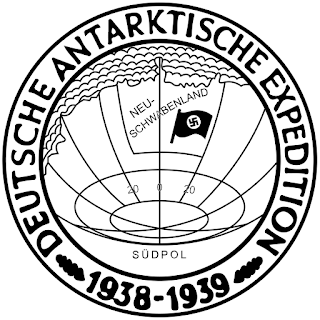 He was also invited by Nazi Germany to take part in the Neuschwabenland Antarctic Expedition in 1938-1939, but he declined. The Nazis went ahead and built a secret Antarctic base without him, and that's where they kept their flying saucers, where they sent Adolf Hitler after faking his death, and where they must have competed for building space with other operators of flying saucers, who came either from outer space or from the interior of our hollow earth, the opening of which is at the South Pole and through which Admiral Byrd had previously flown or would one day fly (in 1946-1947) to find a place that looked from the air like Edgar Rice Burroughs' Pellucidar or Marvel Comics' Savage Land. If you think that sounds like the ravings of a lunatic, you could be onto something. And yet these are the things that hundreds, if not thousands, if not millions of people of today believe. (1) From "The Shaver Mystery" by David Hatcher Childress in Lost Continents and the Hollow Earth (Kempton, IL: Adventures Unlimited Press, 1999), p. 219. Fred Nadis is more precise, calling the company "Briggs Auto Body Plant" and Shaver's job "spot welder." (2) Quoted in The Man from Mars: Ray Palmer's Amazing Pulp Journey by Fred Nadis (New York: Jeremy P. Tarcher-Penguin, 2013), p. 65. (3) "Taylor V. Shaver" (obituary), Detroit Free Press, Feb. 26, 1934, p. 3. Giannini was the first to quote Byrd after he said "I'd like to see this land beyond the Pole. The area beyond the Pole is the center of the great unknown." Joshua Blu Buhs has more to say about Giannini on his blog From an Oblique Angle (Aug. 25, 2014), here. (5) Incidentally, in 1916, Richard E. Byrd, Jr., was assigned to the Rhode Island Naval Militia in Providence, Rhode Island. Not long afterwards, H.P. Lovecraft tried breaking into the Rhode Island National Guard. He might have come close to enlisting in the coastal artillery, but his overly protective mother stopped that from happening. I don't know whether the coastal artillery was a naval unit or an army unit, but is this another case of a missed connection? Anyway, Lovecraft went on to write "At the Mountains of Madness," a three-part serial in Astounding Stories (Feb./Mar./Apr. 1936) about an expedition to the South Pole involving the use of an airplane. The scientists in that expedition discover--what else but--a prehistoric subterranean civilization of extraterrestrial origins. Incidentally also, Byrd's middle name was Evelyn. Richard Shaver's daughter was also named Evelyn. I know, weird, right? A U.S. Post Office commemorative stamp of the second Byrd Antarctic Expedition of 1933. 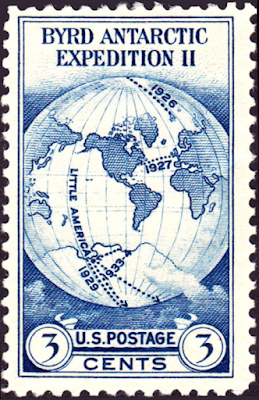 There is not yet a hole shown at the South Pole, but this stamp was made before the story of its existence was blown wide open by conspiracy theorists. 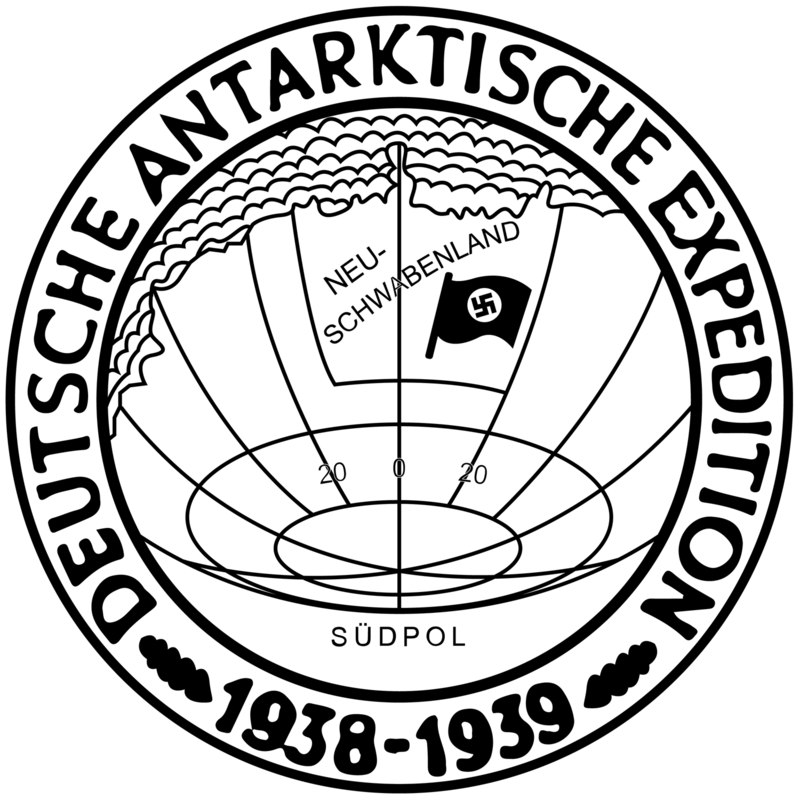 Here is the emblem of the Deutsche Antarktische Expedition of 1938-1939. I think it has been cleaned up a little for publication on the Internet, but you can at least see the hole. The problem is that if you're a Nazi and you're going to build a secret base at the South Pole, you don't want people to know about. (It wouldn't be a secret then, you know.) So instead, you disguise the hole as a circle of latitude. 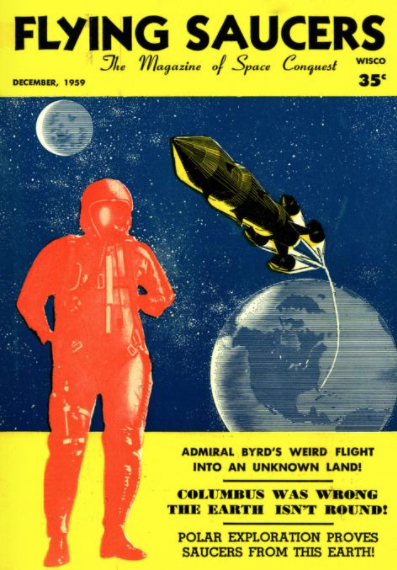 In December 1959, Raymond A. Palmer published a Byrd-themed issue of his magazine Flying Saucers in which the idea of a hole-at-the-pole and flying saucers from Earth's interior passed from F. Amadeo Giannini's imagination into his own. (Gray Barker also had an article in this issue.) I skimmed through Palmer's lead story in the magazine but didn't find any mention of Shaver or his ideas. 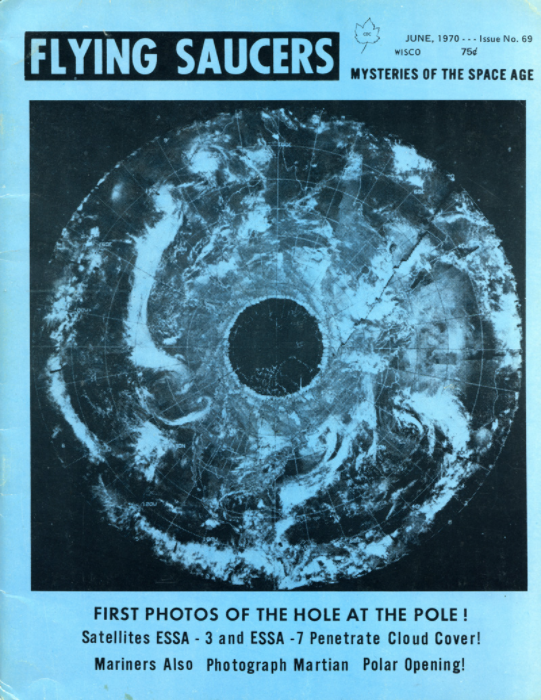 However, Palmer stated: "If the interior of the Earth is populated by a highly scientific and advanced race, we must make profitable contact with them . . . ."
Finally, in Palmer's Flying Saucers #69, from June 1970, we got to see the "First Photos of the Hole at the Pole." The resolution on this image is of course not fine enough for us to make out any dinosaurs, woolly mammoths, or Caroline Munro in an animal-skin bikini (darn it), but they're there, I tell you. They're all there. Richard Shaver's first wife, Sophie Gurvitch, was born on May 2, 1903, in the Russian Empire. The city of her birth is pretty well certain. It's the spelling that's the problem. Her death certificate says Mirgorov. AskArt spells it Mirograd. The closest thing to that spelling in Wikipedia is the Ukrainian city of Myrhorod, but there is also a reference to Mirgorod, a collection of stories by Nikolai Gogol named for "the Ukrainian city of the same name." So Mirgorod it is, I guess. Sophie Gurvitch's father was Benjamin Gurvitch, a coppersmith born in December 1874 in Russia. Gurvitch came to the United States in 1904 to escape the infamous pogroms of 1903-1906. He sent back for his wife Anna and daughter Sophie, who arrived here in 1905. The Gurvitch family settled in Detroit, and that's where they seem to have lived for the rest of their lives. Benjamin Gurvitch eventually opened a paint and hardware business. AskArt gives it a name, Star Hardware and Paints. Sophie's mother was Anna Mintz Gurvitch, nicknamed Annie. Born on October 28, 1878 (her headstone says Oct. 20, 1870), she bore three daughters, Sophie (1903-1936), Evelyn or Eva (Aug. 16, 1908-Aug. 17, 1990), and Rose (Dec. 5, 1919-Jan. 17, 1986). Sophie was of course an artist, while Evelyn was a well-known concert pianist. Rose Gurvitch married Saul Holzel in Detroit in 1942. The Gurvitches were Jewish and spoke Yiddish. Benjamin Gurvitch died on June 14, 1949, at age sixty-four and was buried in Workmens Circle Cemetery, a Jewish burial ground in Detroit. Anna Mintz Gurvitch died on April 8, 1980, at age 101 (or 109 according to her headstone) and was buried in the same place. Anna Gurvitch's death announcement in the Detroit Free Press (Apr. 10, 1980, p. 44) gives another daughter named Mrs. Evelyn Bryant of Israel. We'll figure out who she is after a while. 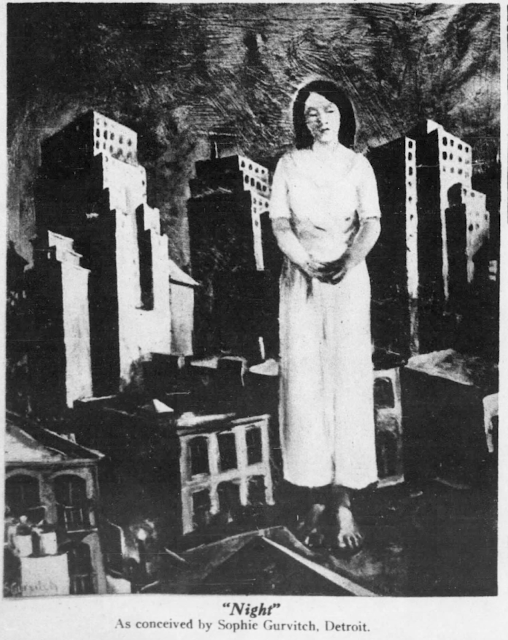 Then, in January 1937, a memorial exhibition at the Jewish Community Center in Detroit, for Sophie Gurvitch, a young, up-and-coming artist and her parents' oldest child, had died in the last week of 1936. Sophie Gurvitch studied and taught at the Wicker School of Fine Arts in Detroit. Presumably that's where she met a young art student from Pennsylvania, Richard Sharpe Shaver. He started at the Wicker school in 1930 and eventually became an instructor as well. The two were married on June 29, 1932, in Detroit. He was twenty-four. She had just turned twenty-nine. Neither was employed at the time. Sophie Gurvitch Shaver bore a daughter in 1933 or 1934. She was named Evelyn Ann, presumably after Sophie's younger sister. At about the same time, Richard Shaver found work so that he might support his new family. Fred Nadis, biographer of Raymond A. Palmer, quotes Shaver regarding this period in his life: "I had studied writing and science and art, was married, almost owned a seven thousand dollar home and was well pleased with myself and the world." (3) Considering the things that happened over the next couple of years, no one could have blamed Shaver for believing that malign forces were at work against him. Richard Shaver was not at home when his young wife died, nor was their daughter. Sophie's body was instead found by two men who had come to see her about a commercial art job. No one knows exactly how she was electrocuted, but it was apparent that she had handled an electric heater while she was in the bathtub. The place was a house, no longer standing, at 3009 Holcomb Street in Detroit. The date was December 29, 1936. "Illness had brought misfortune to Mrs. Shaver's family in recent years," wrote the Detroit Daily News the next day. "Her husband, Richard Shaver, also an artist, was stricken with sunstroke three years ago, and never fully recovered. Her only child, Evelyn Ann, 2 years old, is in Herman Kiefer Hospital with scarlet fever." (4) Shaver probably didn't know about either event at the time, his wife's death nor his daughter's hospitalization, for he was hospitalized, too, and had been since suffering what the newspaper--and later he himself--euphemistically called "sunstroke." The newspaper probably just got that story from the Gurvitch family. Evelyn Ann Shaver didn't know what had happened to her father, either. She was told by the grandparents who reared her that he had died. I wonder now if he ever again saw her or any member of the Gurvitch family, or if he ever knew anything about his daughter or his wife's family. Her grandparents took custody of her in 1937, and Evelyn Ann Shaver grew up as Evelyn Ann Gurvitch. She evidently married a man named Bryant and moved to Israel, for it was Evelyn Ann Bryant who was listed in Anna Gurvitch's death announcement as the third living Gurvitch daughter. By that late date, Richard Shaver was gone, too. His first wife, Sophie Gurvitch Shaver, who died so tragically at age thirty-three, was buried at Workmens Circle Cemetery like her parents. Her epitaph reads: "Her character was her finest work of art." (1) "Make Awards for Artwork," Detroit Free Press, Jan. 3, 1929, p. 5. (2) "Shock Victim," Detroit Daily News, Dec. 30, 1936. (3) From The Man from Mars: Ray Palmer's Amazing Pulp Journey by Fred Nadis (2013), p. 64. (4) "Shock Victim," Detroit Daily News, Dec. 30, 1936. "Night," a painting by Sophie Gurvitch from 1928. It reminds me of the work of another Russian-born Jewish artist, Marc Chagall (1887-1985). Could it be a self-portrait? A dream-portrait? Anonymous left a comment on my blog the other day regarding Augustus T. Swift and his contemporaneous comments on the fiction of Francis Stevens. For a long time people believed that Augustus T. Swift was H.P. Lovecraft writing under a pseudonym. I thought that this idea had been corrected or debunked already, but apparently there are still some who believe that these two men were one and the same. So I'm going to interrupt my series on the Shaver Mystery to re-debunk the idea that Augustus T. Swift was H.P. Lovecraft. This won't take long. Actually it will, but it won't stretch into a series. I think we'll find some interesting things along the way. "Not Out for Blood," a letter of comment from Augustus T. Swift of Providence, Rhode Island, published in The Argosy, May 22, 1920, page 288. Contrary to stories bandied about, this was not the work of H.P. Lovecraft. In this letter, Swift expressed high praise for three stories written by Gertrude Barrows Bennett (1883-1948), then known to readers only as Francis Stevens. The stories were "The Citadel of Fear" (Sept. 14-Oct. 26, 1918), "Avalon" (Aug. 16-Sept. 6, 1919), and "Claimed" (Mar. 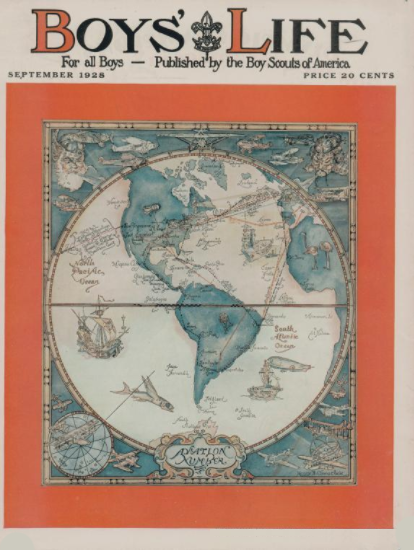 6-20, 1920), all serials and all published in The Argosy. Swift's letter has been used not only with the assumption that Lovecraft wrote under the pseudonym Augustus T. Swift but also as evidence that he knew of Francis Stevens' work, moreover that he was influenced by it. Two of those claims are of course bogus, and the third--that Lovecraft knew of Francis Stevens' work--is open to question. So for the record, Augustus T. Swift was not H.P. Lovecraft. I don't know how that story got started, but it goes back at least to 1949 and Chicago Tribune columnist Vincent Starrett, who was reporting on a newsletter, called The Lovecraft Collector, by Ray Zorn (Jan. 1949). (1) For many years it must have been common knowledge among pulp historians that Swift was Lovecraft. Here for example is a quote from 1991: "Yet the 15 November 1919 issue [of The Argosy] featured a letter from Augustus T. Swift, a name now known to be a Lovecraft pseudonym . . . ." (2) We can excuse mistakes or overenthusiasm on the part of researchers believing they have made some kind of discovery. After all, here was a letter to a pulp magazine from a reader in Providence, Rhode Island. The time, place, and interests in popular fiction were right. And that name--Augustus T. Swift. It must have been a fake. Only characters played by Groucho Marx and W.C. Fields have names like that. Lovecraft must have come up with it himself, for he was a great admirer of British writers of the Augustan period, one of the exemplars of which was of course Jonathan Swift (1667-1745). Augustus T. Swift just had to be Lovecraft. Augustus Taber Swift was actually a teacher, writer, and investigator born on September 23, 1867, in New Bedford, Massachusetts, to John Franklin Swift (1836-1905) and Helen Taber (Foster) Swift (1837-1926). Swift's great-great-grandfather through his mother's line was Zenas Bryant (1753-1835), a native of Plympton, Plymouth Colony, Massachusetts, and a drummer in two different units of Massachusetts men during the Revolutionary War. By that descent, Augustus T. Swift was eligible for membership in the Sons of the American Revolution. When he applied in 1930, he was residing at 122 Rochambeau Avenue in Providence, Rhode Island, not far north of where Lovecraft lived on the peninsula between the Providence and Seekonk rivers. They may not have been the same man, but they were close. In the 1880 census, Swift was, at age twelve, still in New Bedford with his family. His father was a clerk in a store. His older brother, Frank H. Swift, was employed as an architect. Also at home was younger brother John C. Swift. We'll hear more about the two of them in a minute. Augustus T. Swift graduated from Brown University with an AM and a PhD on June 19, 1889. Commencement exercises that year were held at "the old First Baptist meeting house" (3, 4), presumably the First Baptist Church, located at 75 North Main Street in Providence. Lovecraft fans might recognize the church for its connections to his life and writing. Swift delivered one of the orations at his own graduation. For the next two years, he taught German at Brown University. In 1891, he applied for a passport in Providence. Giving his city of residence as New Bedford and his occupation as teacher, he planned to be abroad for a year. His brother, Frank H. Swift of Providence, witnessed the application, the fee for which was a whole dollar. In August 1892, Augustus T. Swift accepted a position as master of modern languages at the brand new Hotchkiss School in Lakeville, Connecticut (a school still in existence). By 1900, Swift was in Providence, living at 46 Rochambeau Avenue and working as a teacher. With him was his young wife, the former Emma A. Morris, whom he had married on August 3, 1898, in Rhode Island, probably in Providence. In 1900, she worked, too, as a type-writer, that is, a typist. In 1905, Swift applied for another passport, again in Providence. This time his younger brother, John Campbell Swift of 54 Moore Street, was the witness. In the 1910 census, Augustus T. Swift was still in Providence, living at 122 Rochambeau Avenue and employed as a high school teacher. His wife served as a clerk in the office of the superintendent of schools. The 1915 Rhode Island census recorded the same information for the Swifts, who, despite their surname, were seemingly immovable for thirty or forty years. Emma Swift always worked for schools and her husband was always a high school teacher. And that brings up a question, namely, did H.P. Lovecraft know Augustus T. Swift? Born in 1890, Howard Phillips Lovecraft would have graduated from Hope High School in Providence in 1908 if he had not suffered a breakdown of some kind. Established in 1898, Hope High School is now located north of College Hill and not far south of Rochambeau Avenue, more or less halfway between Lovecraft's stomping grounds and the Swifts' home. So if Swift taught at Hope High School, and the school wasn't an especially big one, then maybe Lovecraft was in Swift's classes. But we still don't know. By the 1920 census, things hadn't changed much in the Swift home: same place, same jobs, even Swift's widowed mother, at age eighty-two, was still in the household. By 1930, she was gone, and the Swifts, though working their same jobs and living in their same house, were nearing retirement age. Unfortunately, Swift didn't make it to the next census, for he died on November 4, 1939, at age seventy-two and was buried with his parents at Riverside Cemetery, Fairhaven, Massachusetts. His wife, Emma A. (Morris) Swift, followed him to the grave on February 4, 1943. She was interred with her parents at North Burial Ground in Providence. Frank H. Swift (1860-1934), older brother of Augustus T. Swift, was an architect in Providence. In 1893, he entered into a partnership with Frank W. Angell (1851-1943) and Thomas J. Gould to form Gould, Angell & Swift. Upon Gould's retirement, the firm was reduced to Angell & Swift, which remained in business until Swift's death in 1934. Thereafter, Angell went into semi-retirement. These various firms and their predecessors designed homes and other buildings in Providence. As a fan and student of architecture, H.P. Lovecraft must have walked by them hundreds of times. You can read more about Frank W. Angell on Wikipedia, here. You can also read about Lovecraft's Providence at the website hplovecraft.com, here. For a map of a walking tour of Lovecraft's College Hill, see the same website, here. The youngest of the three Swift brothers was John Campbell Swift (1872-?). He graduated from Brown University in 1895. In 1918, when he filled out his draft card, he was living at 60 Summit Avenue and employed as a high school English teacher on Pond Street, both addresses in Providence. The school at which he taught was one of a complex that included Classical High School and Central High School. I can't be sure which it was, and I don't know anything about the schools in Providence. Maybe someone in that neck of the woods can tell us more. In any case, Swift later taught at Central High School, where he was head of the history department. By the way, C.M. Eddy, Jr. (1896-1967), a friend of Lovecraft and a writer of weird fiction, graduated from Classical High School. That still leaves the question of Augustus T. Swift's career. In 1930, he called himself an investigator, but of what? Was that a simple business title, like an insurance investigator? Or was it something more exotic? He also called himself a writer. So what did he write, other than letters to pulp magazines? And what subject or subjects did he teach? Well, I found Swift and his wife in a directory of public school employees in Providence from 1904. Emma A. Swift was a clerk in the office of the superintendent of public schools, while her husband's name appeared below hers as a teacher of English. I also found the name of the school where he taught, English High School, also called Central High School at some point. So unless he worked at more than just those schools--unless he worked closer to home at Hope High School--Augustus T. Swift may not have known H.P. Lovecraft, thus a possible connection between these two fans and readers of pulp fiction was seemingly missed. There's one more question to address: Was H.P. Lovecraft influenced by Francis Stevens? I have better questions: Did Lovecraft even know of Francis Stevens? And if he did, did he ever make a written comment on her stories? The answer to at least two of those three questions is probably no, but if you pay attention to this lousy Internet, you'll see the same garbage recycled again and again: That Francis Stevens influenced both H.P. Lovecraft and A. Merritt, a claim made without any substantiating evidence. That Lovecraft is quoted as calling her among "the top grade of writers," a quote without a citation and essentially a rephrasing of Augustus T. Swift's opinion that "Mr. Stevens" was "the highest grade" of writers contributing to The Argosy. And perhaps most egregious of all, that Francis Stevens "invented dark fantasy," another claim made without any substantiating evidence and one that I thought had been pretty thoroughly debunked already. This is my best and last question: Why do these things go on? The last claim especially can be considered little more than puffery, even an outright lie. And yet it goes on. Why? (1) See "Books Alive" by Vincent Starrett, Chicago Tribune, Mar. 20, 1949, p. 124. (2) From "Lovecraft and the Pulp Magazine Tradition" by Will Murray in An Epicure in the Terrible: A Centennial Anthology of Essays in Honor of H.P. Lovecraft (Fairleigh Dickinson University Press, 1991), p. 105. I don't want to single out Mr. Murray, for he was obviously not the only person to believe that Swift was Lovecraft. The idea goes back at least to 1949, as we have seen. L. Sprague de Camp perpetuated the idea in his biography from 1975. (I have the Ballantine paperback edition from 1976. See pages 85-86.) Mr. Murray may only have been repeating what had already been accepted as fact by Lovecraft scholars. (3) "Commencement Exercises," The Evening Leader (Wilkes-Barre, Pa.), June 20, 1889, p. 1. (4) Swift was also a member of Phi Beta Kappa. 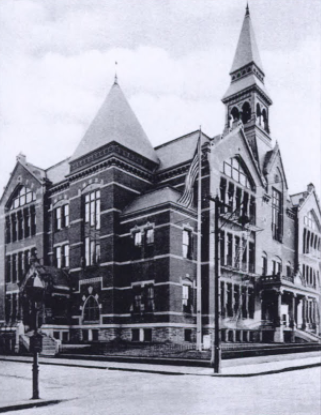 English High School, Providence, Rhode Island, where Augustus T. Swift taught for many years. Here is another phrase from the quote above, the phrase that gets right to my point from yesterday: "lunacy or lucre as possible motives." Mr. Duffy makes an either-or proposition. But what if it's actually a both-and proposition? What about both lunacy and lucre as a motivation for these things? Both madness and money? Europeans may not always be good at this combination, for they tend to be mired in the past, in ancient and medieval institutions of power and culture. They're not forward-looking enough nor perhaps energetic or obsessive enough to make a go at it. Only in America do we have the free-wheeling, anything-goes attitude that allows for the legitimacy of a person's ideas to be measured by the size of his bank account. Maybe Americans are the first people (or the only people) to perfect the combination of lunacy and lucre, madness and money. Maybe it took Puritanism or Calvinism afoot in a New World or a strange mixture of salvation and success, Reason and Romanticism, Utopia and the Millennium before this new man could emerge. That's what I was trying to get at yesterday with my terms the commercial crackpot and the earnest conman. They're still not the best terms. I'd like to find something better. But I think this is an American type, and the combination Richard Shaver-Raymond Palmer gives every appearance of having been of that type. Richard Shaver was more than just an earnest conman, though, for the things he created and in which he believed came from a diseased mind. (His.) We can't at this distance diagnose him, but he is thought to have been schizophrenic. If he wasn't schizophrenic, Shaver was at least so bad off psychologically that he was institutionalized for much of the 1930s. When he wrote to the editors of Amazing Stories in September 1943, he may only recently have been released. No one seems to know, as the facts of his early adulthood are now pretty well lost. And to be fair to him, when Shaver wrote his letter, he displayed a decided lack of confidence in his ideas, unlike the typical earnest conman. Although he claimed that his discovery of a lost language--and by extension, a lost and ancient civilization--was "an immensely important find," he also closed his letter with these words: "I need a little encouragement." It might be more accurate to say that Richard Shaver was only one-half of the crackpot equation. The ideas were his, but he needed an advertising man, a booster, a promoter, a huckster. Maybe that's the real American type, the guy who's half sincere when he's trying to put one over on you and half full of BS even in his sincerity. Maybe the true American innovation is the attempt at turning a crackpot idea into a moneymaking opportunity. After all, the business of America is business, and material success is a sign of God's grace. 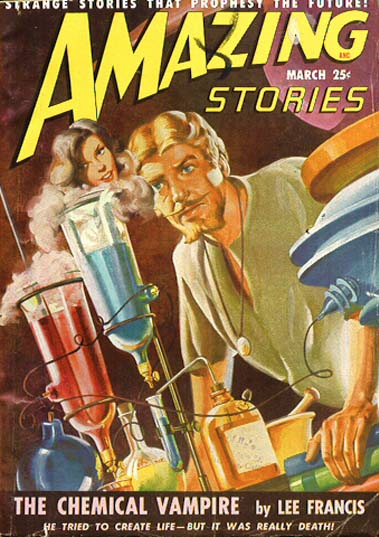 In any case, Shaver found the other half of the equation for what became known as the Shaver Mystery in the editor of Amazing Stories, Raymond A. Palmer. In addition to being a student, Shaver was an instructor at the Wicker School of Fine Arts. One of his own instructors, after that presumably one of his colleagues, was a young Russian-born artist named Sophie Gurvitch. Sophie was a prize pupil at the Wicker School and a rising star on the Detroit art scene. On June 29, 1932, in Detroit, she became the bride of Richard Shaver. Neither was employed at the time, but as their family grew with the birth of their daughter, Evelyn Ann, in 1933 or 1934, Shaver would have to go to work. And when he did, things started to get weird again. (1) The development of the natural sciences in the nineteenth century ran pretty well parallel to the development of the United States as a nation. However, poorly understood science often leads to pseudoscience, in other words, a new mythology for an age of Science, and that's what happened in America. Throw some pretty potent Romanticism and utopianism, the fervor and fanaticism of the Second Great Awakening, and the hustle and bustle of the Early National Period into the mix, and you might have the beginnings of crackpottery (my new word) in America. (2) The current Cult of Global Warming is a good example. So is the growing fascination with finding Bigfoot. Here's my Unified Field Theory of global warming and Bigfoot: He's getting harder and harder to find because his habitat is being destroyed by global warming. If we want to save Bigfoot, we have to give up on heating our houses and driving our evil, fossil-fuel burning cars. And that means all of you. Not me. You. (3) From "The Shaver Mystery" by David Hatcher Childress in Lost Continents and the Hollow Earth (Kempton, IL: Adventures Unlimited Press, 1999), p. 220. (4) I have not found Shaver in the census of 1930. 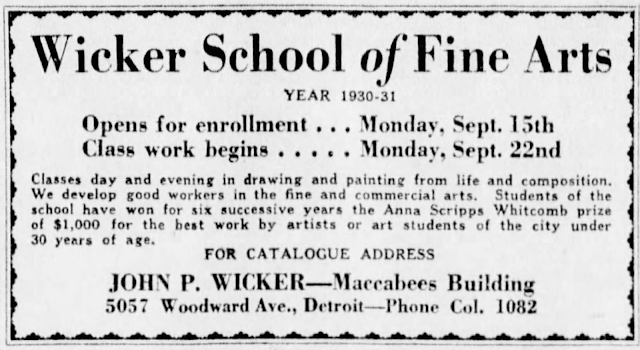 (5) The Wicker School of Fine Arts was established in 1911 by artist John P. Wicker (1860-1931). See the photograph and caption below for more information. (6) According to Wikipedia: "The John Reed Club was founded in October 1929 by staff members of The New Masses magazine to support leftist and Marxist artists and writers. Originally politically independent, it and The New Masses officially affiliated with the Communist Party in November 1930." Shaver may have come to the John Reed Club by way of associating with leftwing art students at the Wicker School. Then again, if he didn't start at the school until September (see the advertisement below), maybe he encountered communism by being a tramp and an idler in the first year of the Great Depression. (7) Shaver's involvement in communism is an example of the concept of continuity, the overarching theme of this series. Again and again, we find examples of authors of science fiction and fantasy who were also involved in Forteana, pseudoscience (e.g., UFOlogy), pseudo-religion (e.g., Scientology), pseudo-history (e.g., Marxism, aka scientific socialism, which is also a kind of pseudo-science), and various combinations thereof. Even the boundaries between fiction and non-fiction are broken down so that they become continuous as well. The Shaver Mystery, passed off as the truth but taking the form of fiction, is an excellent example of the continuity of fiction with non-fiction, more accurately perhaps, pseudo-non-fiction. An advertisement for the Wicker School of Fine Arts from the Detroit Free Press, August 24, 1930. If Richard Shaver attended the school during the 1930-1931 academic year, then maybe he began on September 22, 1930. By the way, the Maccabees Building is still in existence. The head of the Wicker School was the well-loved teacher and painter John P. Wicker. Born on February 23, 1860, in Ypsilanti, Michigan, Wicker established his school in 1911. The 1930-1931 academic year was sadly his last: Wicker died on February 12, 1931. Did Richard Shaver know John P. Wicker? Was he in any way close to him? If so, his teacher's death would have been the first of three to hit Shaver in his years in Detroit. Was Detroit, then, the place where disintegrant energy (de) first made itself known and felt in Shaver's life? Donald Shaver (b. Sept. 27, 1899; d. Apr. 29, 1979), a U.S. Navy man (Oct. 4, 1917-Aug. 19, 1919) and a railroad brakeman. He married Marion Harder. Catherine Claire Shaver Haughton (b. Nov. 26, 1901; d. Aug. 22, 1993). She married Henry Osburne Haughton. Taylor Victor Shaver (b. Nov. 9, 1903; d. Feb. 24, 1934, Detroit, Michigan), a veteran of the U.S. Army Air Corps, a Pennsylvania state trooper, chairman of the Board of Inquiry for the U.S. Immigration Service in Detroit, and an author of stories for Boys' Life and The Open Road for Boys. Richard Sharpe Shaver (b. Oct. 8, 1907; d. Nov. 5, 1975), the subject of this series. He was married three times and had a daughter by his first wife. Isabel or Isabelle D. Shaver (b. April 23, 1915; d. April 20, 1988), a freelance writer for magazines and newspapers and an advertising copywriter in New York, Los Angeles, and Chicago. All were born in Pennsylvania. In the chronicle of public records, you will find Ziba Shaver in the 1900 U.S. census in Philadelphia, where he was employed as a laborer. He had been married for about a year and a half when the enumerator found him. By 1910, he had made his way up in the world and was working as a press operator in a steel plant. In his household in Berwick, Pennsylvania, there were his wife and four children, plus five boarders and a servant. Richard S. Shaver, age two, was the youngest of the four. When he filled out his draft card in 1918, Ziba Shaver was still in Berwick and working as a salesman for Prince Furniture Company. Things changed greatly by the time of the next U.S. census, for in 1920, Ziba Shaver and family were living in Bloomsburg, Columbia County, Pennsylvania. His oldest son Donald, then only nineteen, was working as a clerk in a restaurant. There was no occupation listed for Ziba Shaver. Change had come again by the next census when, in 1930, the enumerator counted Ziba, his wife, and his youngest child Isabel or Isabelle in Philadelphia. Ziba was at the time employed as a chef at a college. If a newspaper article from the Detroit Free Press is accurate (2), the Shaver family moved to Detroit in about 1930. They may have followed Taylor V. Shaver there, for he was pretty gainfully employed with the U.S. Immigration Service in that city during the early years of the Great Depression. Tragically, Taylor Shaver died on February 24, 1934, after a brief illness. By 1940, Ziba Taylor was back in Pennsylvania, in Douglass Township, Montgomery County, where he ran a restaurant. His wife was with him, but their children were out on their own. All but Richard Shaver, that is, for he was being cared for by someone else in a faraway place. That's a story for another part of this series. Ziba R. Shaver died on June 10, 1943, at his home in Barto, near Niantic, Pennsylvania. Also at home were his wife Grace and his son Richard, who helped bear his casket to the grave. Richard S. Shaver was at the time between marriages. His first wife had died in a bizarre accident. His second was still on the horizon. Shaver's seminal letter to the editorial staff of Amazing Stories was still three months off, too, but if he was telling the truth when he claimed that he had been working on his decoded alphabet for "a long period of years," then the death of his father in 1943 and that of his brother nine years before could only have confirmed him in his suspicions about the secret meanings behind the English language. After all, Taylor V. Shaver had died in Detroit, while Ziba R. Shaver had succumbed, according to his death certificate, to pulmonary edema due to cardiac decompensation. Disentigrant energy--de--was evidently going about its detrimental work within the Shaver family. (1) Ziba Rice Shaver was born on November 1, 1875, Dallas Township, Luzerne County, Pennsylvania, and died on June 10, 1943, at home, in Barto, near Niantic, Douglass Township, Montgomery County, Pennsylvania, at age sixty-seven. Although there is a Shaver cemetery in Dallas Township, Shaver was buried at Fairmount Springs Cemetery, Fairmount Springs, also in Luzerne County. Ziba's wife, Grace T. (Taylor) Shaver, was born in August 1871. In the 1900 census, while her husband was in Philadelphia, Grace was counted with her parents and her infant son Donald in Fairmount Springs. Thereafter, she was counted with her husband in the U.S. census (1910, 1920, 1930, 1940). After his death in 1943, she presumably lived with Richard Shaver, though perhaps not continuously. She died at his home in Lanark, Portage County, Wisconsin, on July 21, 1961, at age eighty-nine and was buried with her husband in Fairmount Springs. (2) "Taylor V. Shaver" (obituary), Detroit Free Press, February 26, 1934, page 3. One afternoon in late 1943, Raymond A. Palmer, editor of Amazing Stories and Fantastic Adventures, was sitting in his office, listening intently as assistant editor Howard Browne read from a recently arrived letter. It had come from a reader in Barto, Pennsylvania, a man who expressed his hopes that the editors would place it in their magazine "to keep it from dying" with him. The "it" of which the man wrote was his discovery that within words in English there are hidden clues to an ancient and forgotten language. "This is perhaps the only copy of this language in existence," he continued, "and it represents my work over a long period of years." Accompanying the letter was a separate sheet illustrating the secret meanings behind the letters of the English alphabet. For example, the letter A means animal, while B means be, C translates as see, and D represents a novel concept, disintegrant energy or detrimental (presumably abbreviated de), meaning harmful or destructive. The word bad, then, can be broken into its constituent parts: be a de, or be a disintegrant energy or detrimental. (I guess a can mean either animal or the indefinite article.) "It is an immensely important find," the man wrote of his discovery, "suggesting the god legends have a base in some wiser race than modern man." Howard Browne laughed at it as one of countless crank letters received every year in the offices of Ziff-Davis of Chicago. Then he crumpled it up and threw it away. "What kind of editor are you?" Palmer asked as he retrieved the pages from the trashcan. He handed them back to his assistant editor and said, "Let's run the entire thing in next issue's letter column." And that's how the Shaver Mystery began. The Shaver Mystery, launched by Palmer from the writings of Richard S. Shaver of Barto, Pennsylvania, was both a boon and a bane to science fiction during the 1940s. Some readers and fans loved it. Once Palmer started running its stories in Amazing Tales, sales took off, and the magazine began receiving thousands of letters in response. "This is real," many claimed. "This happened to me," wrote others. "I, too, have come in contact with detrimental forces." Others hated it, a very young Harlan Ellison most prominently among them. (Sam Moskowitz and Forrest J Ackerman were part of that group, too.) The arguments and controversy raged for about half a decade, beginning in 1945 and reaching its height in 1947-1948. Then, suddenly, in December 1949, Palmer was out as editor of Amazing Stories and Fantastic Adventures, and the Shaver Mystery faded from mainstream science fiction (if any science fiction can be called mainstream). There were Shaver Mystery stories published in these and other magazines after 1949, but they were pretty well consigned to the fringes. That is of course where they had originated, for they had come from the diseased mind of Richard Sharpe Shaver. I was specially chosen to reveal this to you, to carry to a benighted humanity the truth about the world. I alone know the truth. I alone am the prophet and purveyor of these things I tell you. I was there at the beginning. I preceded all others. I alone know the secret. I alone have the key. I am the creator, the originator, the discoverer. Time and again we have seen it, in Joseph Smith and Karl Marx, in Henry George and George Adamski, and on and on. They have claimed discovery to the key to history, to economics, to religion, to human nature, and on and on. Richard S. Shaver was just another in a long line of cultists, crackpots, crazies, and cranks, some of whom have been rewarded by humanity, while others have been forgotten. If only some of the rewarded--Marx is the best example--could be among the forgotten. The examples could go on and on--and they will in this series, if only a little.